Installing van roof rack on a sprinter van can pose some unique challenges that are not encountered with other vehicles. Sprinter vans are very tall – a 6-foot man can stand upright inside one of them. Sprinter van accessories, such as sprinter van roof racks, sprinter ladder racks, and sprinter van shelving are similar to models for other vehicles but have additional features that make the items on the rack more easily accessible. 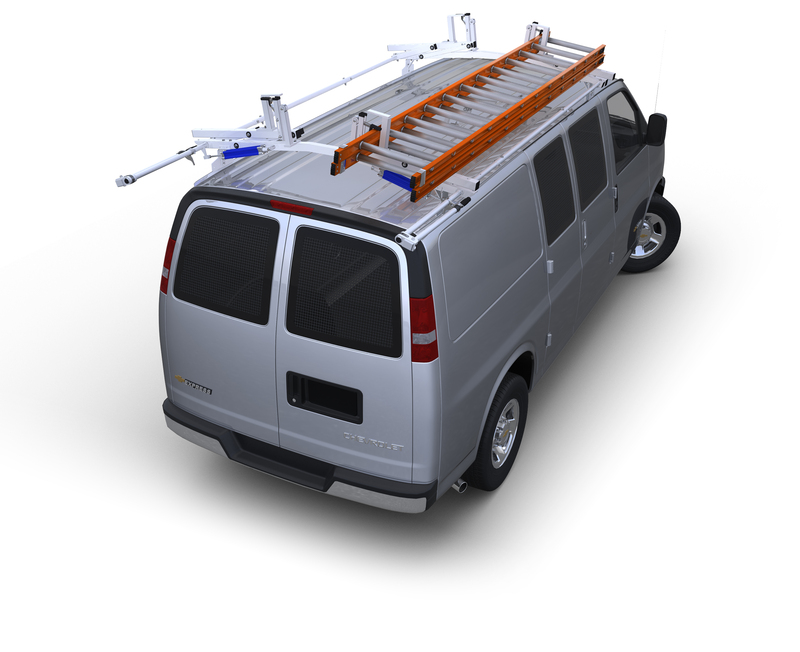 Some roof racks for a sprinter van have a device that is powered by hydraulics and rotates the ladder from the top to the side of the van so that it can be accessed without having to climb. Sprinter roof rack has a very high clearance use this same principle. Some have manual controls while others are electronic. A telescoping handle allows the user to manually swing the ladder from the top of the van onto the side. A sprinter roof rack is specially constructed for the difficulty in accessing the cargo ... so while standard van racking may fit, it may not suit the purpose. Likewise, a sprinter roof rack may fit standard vans but the ease of access features may not be necessary. Sprinter ladder rack adds additional cargo space much as truck ladder racks do. They make carrying materials like pipes and wood, or tools such as ladders, far easier. The racks securely hold the materials on the roof of the sprinter van, keeping it out of the cargo area and from interfering with the driver’s ability to effectively operate the vehicle.